ID Podcast’s YouTube Channel Reaches its 5000th Subscriber! 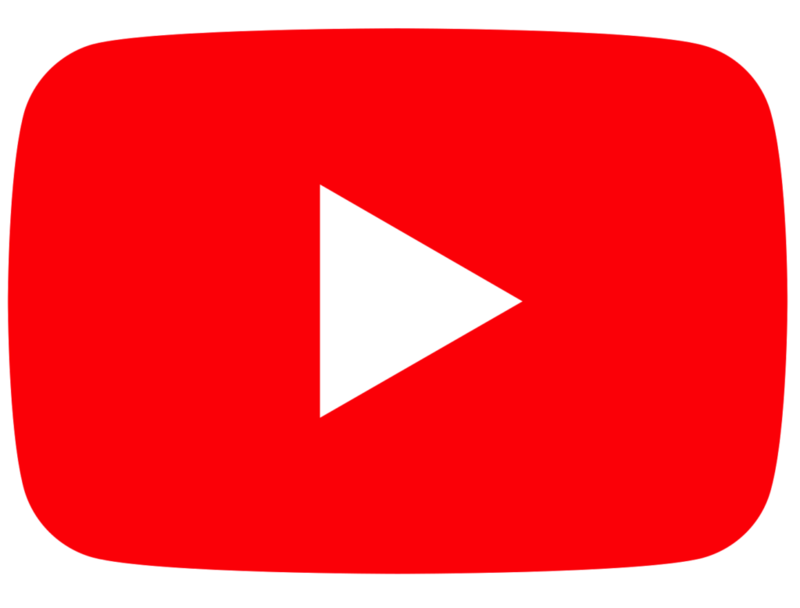 This year, according to social media statistics aggregator SocialBlade.com, IDPodcasts’ YouTube channel is expected to receive more than 276,000 views from a worldwide audience originating from more than 200 countries. The channel is expected to exceed its next milestone of its one millionth view before the end of 2019. In addition to the latest podcasts obtained from IDPodcast’s website (www.idpodcasts.net), ID Podcast’s YouTube audience can select from more than 225 podcasts taken from IDPodcast’s 12 year history of broadcasting infectious diseases content online. 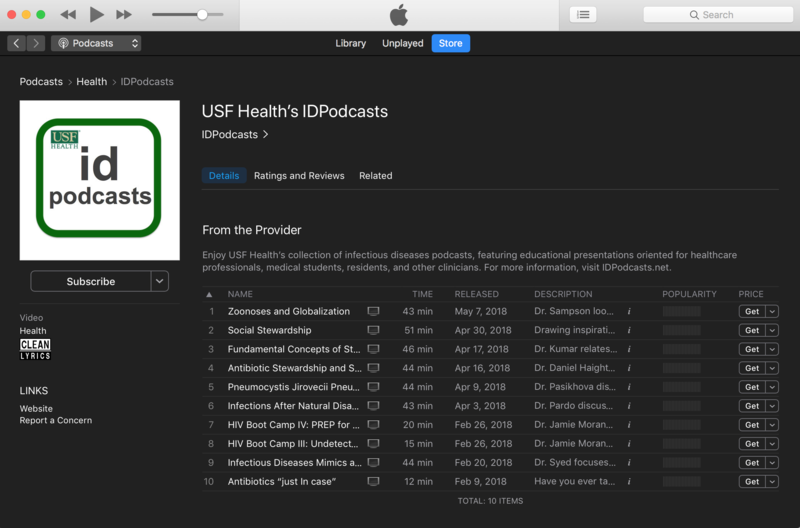 IDPodcasts leverages the talent and teaching skills of the USF Health’s Infectious Diseases (ID) medical faculty and fellows to present compelling ID content for its audience. Select invited national thought leaders in infectious diseases such as Henry Chambers, MD, and Debbie Goff, Pharm.D., have also provided content over the years. All of IDPodcast’s content is provided free to users, is self-sponsored, and is open access across the online universe. In addition to the YouTube Channel, IDPodcasts offers its content via smartphone and tablet apps, an iTunes Podcast series, and its website. New apps are currently under production for 2019 to bring an enhanced state-of-the-art IDPodcasts listening experience to the latest smartphone devices and tablets. IDPodcasts was co-founded in 2007 by Dr. Richard L. Oehler, Professor of Medicine at the University of South Florida College of Medicine, and Dr. John T. Sinnott, current Chairman of the Department of Internal Medicine at the Morsani College of Medicine at USF. 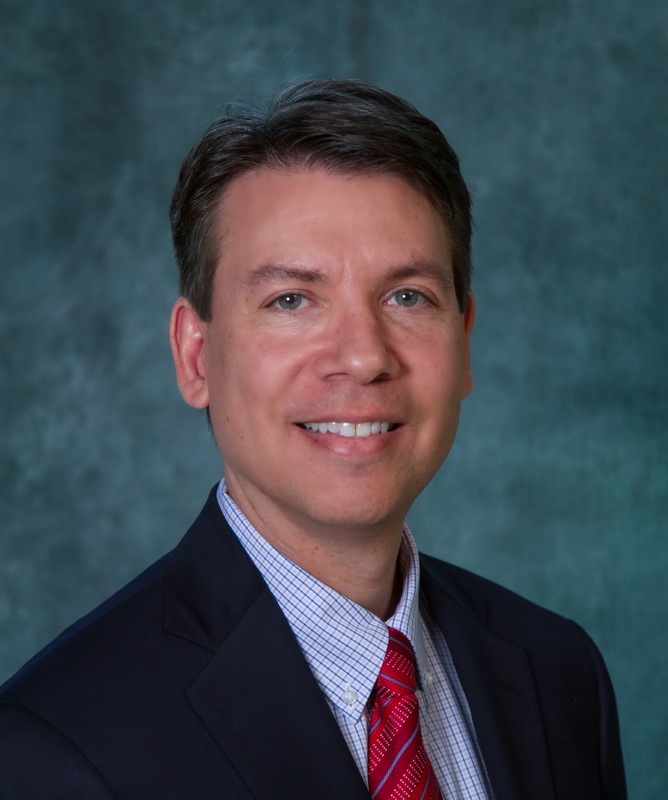 Dr. Oehler has been its editor-in chief and webmaster since its inception. The IDPodcasts Team appreciates all the interest we receive on a regular basis for our smartphone and tablet apps. Although we premiered an all new web site in 2018, our app updates have lagged behind. A few months ago, our Android app stopped working due to software compatibility. Our IOS app continues to function, but is sorely in need of new updates. 1. Standalone audio podcast compatibility for listening in environments where an audio podcast is appropriate (such as in the car) and where you need your phone for other purposes. 2. Feedback comment capability within the app. 4. News, blogs, and other features we have added to our web site this year. While we bring our new apps to completion, for (especially Android) smartphone and tablet users who cannot use our apps, please note that our website is mobile device friendly and should play in any browser. Also, all of our podcast content is still available at our youtube channel at http://www.youtube.com/idpodcasts. Thank you for supporting our content now for over ten years! Can Technology Reduce Infection in the Food Industry? As I often do, I recently spent a few moments on a Friday morning reviewing the CDCs “Current Outbreak List” page. This resource is a single page clearinghouse for recent United States and international outbreaks reported on by the Centers for Disease Control and Prevention. On the day I reviewed the page, recent Salmonella-based outbreaks in breakfast cereal, pre-cut melon, live poultry and backyard flocks and pet guinea pigs were mentioned. Other Salmonella-related outbreaks occurring in 2018 included dried coconut, chicken salad, Kratom, raw sprouts, cucumbers, and papayas. The predominance of Salmonella among food-borne pathogens is not surprising, as non-typhoidal Salmonellae in the US is one of the leading causes of foodborne disease. It is also a major cause of worldwide diarrhea. The high prevalence of non-typhoidal salmonellosis in the food supply has been primarily associated with agricultural reservoirs, most commonly with poultry and chicken eggs. In recent years, outbreaks associated with raw produce have increased in prevalence, perhaps related to contamination of the food chain resulting from run off from animal agricultural lots, or the secondary cross-contamination of produce during harvesting, processing, or food preparation. Yet this is not a new phenomenon. Foodborne outbreaks have been an issue in the U.S. food industry for decades. In the course of researching this topic, I came across a media report entitled, “Expert: Technology could help make food safer.” The article was an interview of Dr. Dennis Maki, a well-known professor in epidemiology at the University of Wisconsin School of Medicine and Public Health. Dr. Maki noted that the era of feeding 300 million plus people through the use of small farms and simple agricultural techniques has long since passed. “it’s important to realize there are 300 million people in the US. The only way you are going to feed 300 million people is by industrial techniques. The common complaint or the plea is, ‘lets return back to 1945, let’s have small farms, let’s not have industrial farming and industrialized production of food on a huge scale. Then we wouldn’t have the problems that we have now.” But such an approach would not result in the ability of our agricultural industry to feed a 21st Century population, he asserted. Dr. Maki emphasized several approaches for the consumer to reduce their likelihood of acquiring foodborne illness. (1) Buy food from reputable sellers. Most large grocery chains are highly reputable, or they would not be in business. (2) Wash fruits and vegetables thoroughly as this will greatly reduce, though not completely eliminate contamination. (3) Cook meats properly and to the recommended temperature. So the original question in the 2007 article still applies today: “Can technology reduce infection in our food?” One of the most fascinating and progressive areas where technology is pushing the envelope is in the meat industry. American consumers eat 26 billion pounds of beef a year. A single cow is said to consume up to 11,000 gallons of water annually. The fast food chain McDonald’s cells 75 hamburgers every second. As a result, the cultivation of meat products requires a huge worldwide industry that is estimated to be responsible for 15-20% of all greenhouse gas emissions. Furthermore, the production of the millions of poultry, pork and beef livestock animals places considerable demands on agricultural areas to contain and manage the tremendous quantities of animal waste and other industrial byproducts of meat processing, much of which is at risk for contamination of the environment and at various points in the food chain. As a result, several Silicon Valley technology start ups have for several years now been working on different lab-based techniques for the production of meat. The concept in itself is deceptively elementary: What if the production of meat could be made as simple as growing yeast in a vat? If we could turn the philosophy of, “kill it and grill it” to “fill it and then distill it.” If we could culture meat in a lab and then grow it utilizing industrial techniques similar to beer production, this would eliminate a large proportion of the land use, water consumption, greenhouse gas admissions, and production of animal byproducts that result in the runoff of enteric pathogens such as Salmonella and the contamination of the environment and of our food. Just, a Silicon Valley company, is perhaps the leader in attempts to bring the first “clean meat” products to market. Their process involves the development of a large-scale cell culture process for cultivating sustainable meat cells into high-grade meat and seafood with a production process that promises to be over 10 times more efficient then the world’s largest slaughter houses. They claim their process uses unmodified cells which naturally occur in livestock animals and can be grown antibiotic free. Because the process does not involve slaughtering live animals, they claim their manufacturing chain will have a significantly lower risk of foodborne illness (and be much less negatively impactful on the animals in general). Other lab-based meat companies looking to develop similar technologies include Memphis Meats and Future Meat Technologies. Such food technology elicits a wide variety of reactions from the public, ranging from those who say, “I would never eat that,” to individuals who claim that “cultured meat is not natural,” to the more adventurous who boast, “I’ll eat it if it tastes good and is safe.” But the history of food in the U.S. suggests that similar battles have been waged in the past, from the adoption of margarine as a butter substitute in the late 19th Century to the rise of nut-based milk products (e.g., soy milk, almond milk, etc) in the last 15 years, with the new products ultimately finding acceptance if they are felt to be economical, healthier, and no less palatable than their traditional counterparts. But with the production of meat and seafood estimated to double to 1.2 trillion pounds by 2050, given a finite land supply and limited environimental resources, current industrialized processes for meat and food production are unsustainable, and new techniques are clearly needed. The development of cultured meat products has led to an industry debate, led mainly by traditional agricultural industry firms and trade associations, on what constitutes the terms “meat” and “beef” at all. The FDA will hold public hearings on this topic this summer. As consumers, all of us can play a role in ensuring the safety of the U.S. food system in the products we consume, the choices we make, the food preparation techniques we use, and in the ways we maintain awareness of what is going on with our food supply. Please note that the opinions expressed in this blog post are my own and do not necessarily reflect the views of IDPodcasts, the Division of Infectious Diseases, USF Health, or the University of South Florida. IDPodcast’s iTunes Podcast Series is Back Online! Fans of downloadable podcast content can now rejoice. IDPodcast’s iTunes Podcast Series is now back and better than ever! The series, originally started in 2007, and one of the original infectious diseases podcast series on iTunes, got sidetracked in January after the migration of IDPodcast’s website to an all new WordPress-based platform. For technical reasons, podcast updates had to be suspended until new software updates could be completed. With the updates having been accomplished earlier this week, “IDPodcasts on iTunes” made its glorious return. 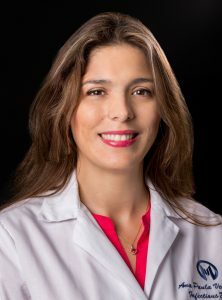 Dr. Ana Velez is an accomplished artist and University of South Florida Associate Professor and Infectious Diseases physician who has practiced at Moffitt Cancer Center among immunocompromised patients since 2007. 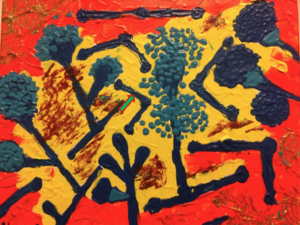 Although she paints in many different styles, among her favorite subjects are the microorganisms she confronts everyday as a health care provider. 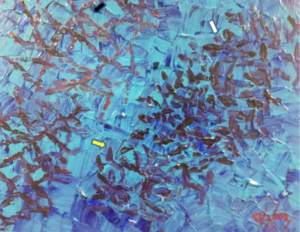 With her art, she conveys the complexity and beauty present in even some of the most challenging pathogens. Her paintings mix bright colors and subtle shades to capture the simple yet elegant nature of fungi, bacteria, and viruses. Below is some of her artwork each with an accompanying legend. Please click each picture to link to a larger version. Aspergillus is a fungus found throughout the world that can cause infection in primarily immunocompromised hosts and individuals with the underlying pulmonary disease. There most important types of respiratory tract infections caused by aspergillus include: invasive aspergillosis, and allergic bronchopulmonary aspergillosis. Aspergillosis infection can also manifest as sinus disease in immunocompromised hosts and cutaneous disease after traumatic inoculation. The treatment of choice is Voriconazole. Isavuconazole, Posaconazole and Amphotericin also have activity. 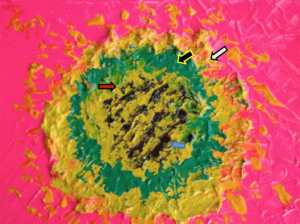 The painting below illustrate aspergillus with its septate acute angle hyphae (white arrow) a vesicle (blue arrow) with phialides (orange arrow) and sporulating conidia (red arrow). The dengue virus is a single positive-stranded RNA virus of the family Flaviviridae. It is transmitted by the Aedes aegypti female mosquito. The clinical presentations include dengue fever, dengue hemorrhagic fever and dengue shock syndrome. Fusarium is a hyaline mold that can cause severe invasive infections in neutropenic and transplant patients. The most common type of infections in this population includes invasive nodular pneumonia, sinusitis and necrotizing cutanous infections from traumatic inoculation. This mold is angioinvasive, but can also cause disseminated disease from metastatic conidias that travel distally from the initial site of inoculation thru the bloodstream. The treatment is Voriconazole orAmphotericin depending on the subspecies and suceptibilities of fusarium. 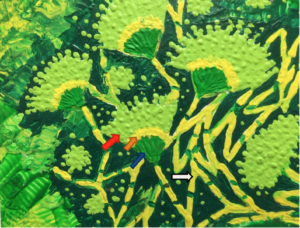 The painting below illustrates septated hyphae (green arrow) and banana shape conidia (black arrow). Actinomycetes are acid-fast gram positive bacilli that are sometimes branching depending of the species. The Actinomycetes sppinclude Mycobacterium spp, Corynebacterium spp, Nocardia spp, Actinomyces spp, Rhodococcus spp, Tsukumurella spp, Gordona spp, Actinomadura spp, Streptomyces spp, and Tropheryma wippelii. The painting below illustrates Nocardia, Actinomyces and Rhodococcus. 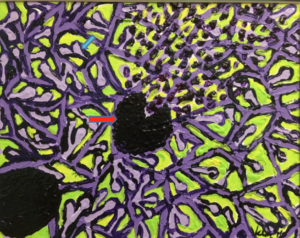 Nocardia spp(black arrow) are aerobic filamentous branching beaded, gram positive rod, that stain acid-fast positive given its mycolic content of the cell wall. Actinomyces spp(white arrow) are anaerobic branching gram positive rods that can be differentiated from Nocardia because they are acid-fast negative. Rhodococcus spp(yellow arrow) are aerobic gram positive rod non branching acid-fast positive. Chikungunya virus is an RNA alphavirus transmitted by Aedes mosquitoes in the tropical and subtropical areas. It causes acute febrile illness with polyarthralgia, arthritis and occasionally headache, rash and periarticular edema. 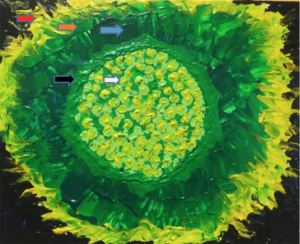 The painting below illustrates the structure of the Chikungunya virus with the E proteins (yellow arrow) Membrane (white arrow) capsid (red arrow) and the genomic structure (black arrow). HSV is an enveloped double stranded DNA virus that belongs to alpha herpes virus. There are 2 types of herpes virus (HSV): herpes virus type 1 (HSV-1) and herpes virus type 2 (HSV-2). Both are closely related. HSV1 is more commonly associated with orofacial disease whereas HSV2 is more commonly associated with genital disease. Medications to treat HSV infections include acyclovir, valacyclovir, and famciclovir. 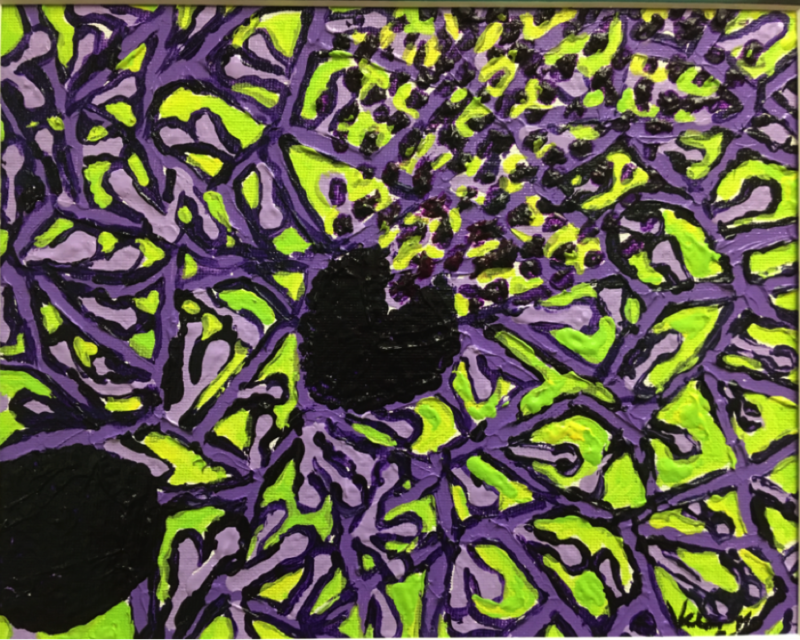 The painting below illustrates the HSV virus. It has the DNA gene (white arrow), nucleocapsid (black arrow) the tegument (blue arrow), the lipid envelop (orange arrow), and the envelope proteins (red arrow). 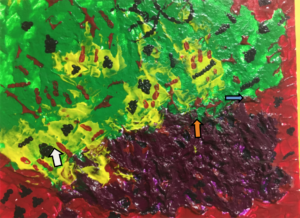 The painting below illustrates the polymicrobial purulent and bloody fluid from an abscess. The gram positive cocci in chains are Streptococcus spp (orange arrow), the gram positive cocci in clusters are Staphylococcus aureus (blue arrow) and the gram negative rods are Pseudomonas spp (white arrow). Scedosporium is a filamentous mold present in soil, sewage, and polluted water. It has two main species: Scedosporium apiospermum(and its sexual form Pseudallescheria boydii) and Scedosporium prolificans. Scedosporium spp may colonize transitory previously damaged airways, but can also cause severe respiratory infections in near-drowning and immunosuppressed patients. The infection may spread locally by angioinvasion or hematogenously to distant organs (lung and brain are common organs). Scedosporium spp are often resistant to several antifungals. Voriconazole can be used to treat infections by Sedosporium angiospermum. Scedosporium prolificans is often multi-drug resistant. 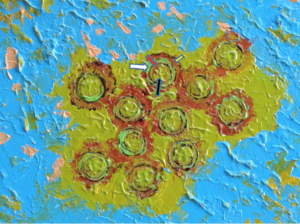 The painting below illustrates Scedosporium spp with broad hyphae (blue arrow) and Pseudallescheria boydii (red arrow) with fully developed and ruptured cleistothecium, the typical form of the sexual stage of Scedosporium apiospermum. Zygomyces is hyaline fungus that causes severe invasive infections in transplant and neutropenic patients. It can also cause severe infections in poorly controlled diabetic patients. The most common type of infections includes invasive necrotizing nodular pneumonia, severe sinusitis with peri-orbital cellulitis, and cutaneous infections from traumatic inoculation. The treatment of choice is Amphotericin. Isavuconazole and Posaconazole are also effective but are often used as an alternative to Amphotericin. 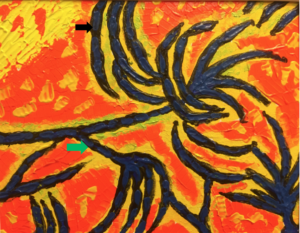 The painting below illustrates different Zygomyeces spp with the typical large ribbon like non septate 90 degree angle hyphae (green arrow). Oxford’s initiative, following a trend established by many medical publishers in the last decade and a half, reflected not just a gesture of altruism to third world countries but also a matter of contemporary professional and economic necessity. Since at least 2600 B.C., when Imhotep is said to have written his first papyrus on ancient Egyptian medicine 2, heralding the age when medical knowledge could be shared and adopted by others, clinicians have attempted to codify the practice of medicine onto the printed page. For more than 4500 years, the tradition of the paperbound medical text thrived, surviving the destruction of the Alexandria library in Egypt, the austere anti-intellectualism of the middle ages, and even the emergence of the new broadcast media of the second half of the 20th century. But as the practice of medicine now approaches the third decade of the new millennium, the bound medical textbook, so symbolic of the scholarly traditions that form the basis of our craft, is facing extinction. The solidification of electronic media, from online peer-reviewed information resources, medical web portals and search engines, to personal smart phones and tablet computers has now supplanted the hardbound textbook for many health providers. In an original informal January, 2011 survey of internal medicine housestaff I conducted at my institution, only 15% had consulted a hardbound textbook in the last month, preferring instead to reference online resources such as “Up to Date,” “Harrison’s Online, “ and “Emedicine.” Less than half (47%) had reviewed a printed reference of any kind, underscoring the waning popularity of the softbound handbook or pocket guide. Now, seven years later, that number is probably close to nil. The migration that medical publications have made online reflects a societal shift away from the printed page, especially in basic and secondary education. Having a son and daughter, in both college and high school, respectively, I know that it is possible for my tablet and notebook-laden kids to never open a physical text if they wished to do so. For those of us who have been in practice more than twenty years, the transition away from the printed textbook in the last decade has presented some unexpected problems. No longer is a clinical question or controversial medical decision between clinicians resolvable via an obsolescent, forlorn text in the corner of a nurse’s station. Many resourceful clinicians now consider even a newly published hardbound volume to be out of date, questioning the validity of any reference that is not updated continuously. In an era where every question seems to be answerable via an online query, use of the search engine may have even superseded Pubmed or the National Library of Medicine, with sometimes variably reliable results. In the past, the immutability and permanence of the printed page added certainty to hardbound textbook-based medical decisions. With the increasing reliance on online resources, it has become more difficult to distinguish credible from less credible sources of medical information, especially for patients who are sometimes forced to seek online medical advice in an era of “fake news.”. For less technologically adroit clinicians, clinging to hardbound medical resources they have used for decades, adaptation to electronic media may present formidable obstacles to reaching the information they once felt comfortable obtaining. Yet, the online transition has had far more positive than negative consequences. Online reference sources are easier to produce and distribute, and for subscribers, often more affordable to obtain. In many medical facilities equipped with an electronic medical record, online medical references have been integrated with desktop, mobile or handheld devices at the point of care, permitting instantaneous access to evidence-based information critical to medical decision making. In fact, the growth of the evidence-based medicine (EBM) movement is likely to have been fueled since the turn of the millennium by the rapid growth of online medical resources. For many providers, the availability of medical blogs, subscription online content, YouTube videos, podcasts like our own, online access to full text medical journals and even social networking sites (e.g., Facebook and Twitter) ensure that no major medical advance, clinical trial, drug recall or outbreak can escape our awareness. In less developed countries, where medical reference resources were once limited to antiquated or donated textbooks, online resources offer resource-challenged providers with access that can level the playing field of medical information with wealthy countries, a development that is likely to be crucial to improving the quality of medical training and care in the third world. In the U.S., health information companies have also increasingly begun to acknowledge the promise of the new online frontier. Both Emedicine and Up-to-Date, among the most popular of the online peer-reviewed sites, began as struggling start-up firms in the 1990s, attracted an sizable user base, and then were ultimately acquired by large multimedia conglomerates. 3,4 For traditional publishers, almost every major hardbound text now coexists with an online edition, many enhanced for portable devices. Moisse K. A medical classic gets a 21st century makeover, going online and low cost. Scientific American http://bit.ly/dpVuEk. Accessed February 2, 2010. Breasted JH, ed The Edwin Smith Surgical Papyrus: published in facsimile and hieroglyphic transliteration with translation and commentary on two volumes. Chicago: University of Chicago Press; 1991; No. 3-4. Jacobi J, ed Paracelsus, Selected Writings. New York: Pantheon books; 1951.